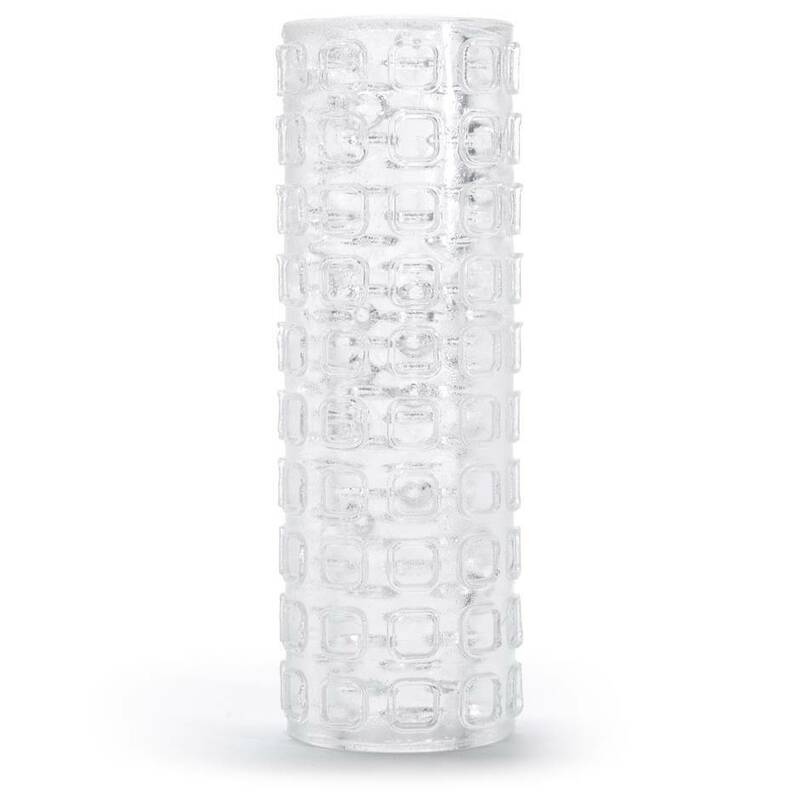 Versatile pleasure is yours with this reversible stroker, an ideal toy for solo and shared sessions alike. A super-tight canal gives intense grip and twin sensations are on offer, with one side featuring raised ridges and the other textured squares. Order over the phone: Call 1-866-647-9194 and quote code 50317. 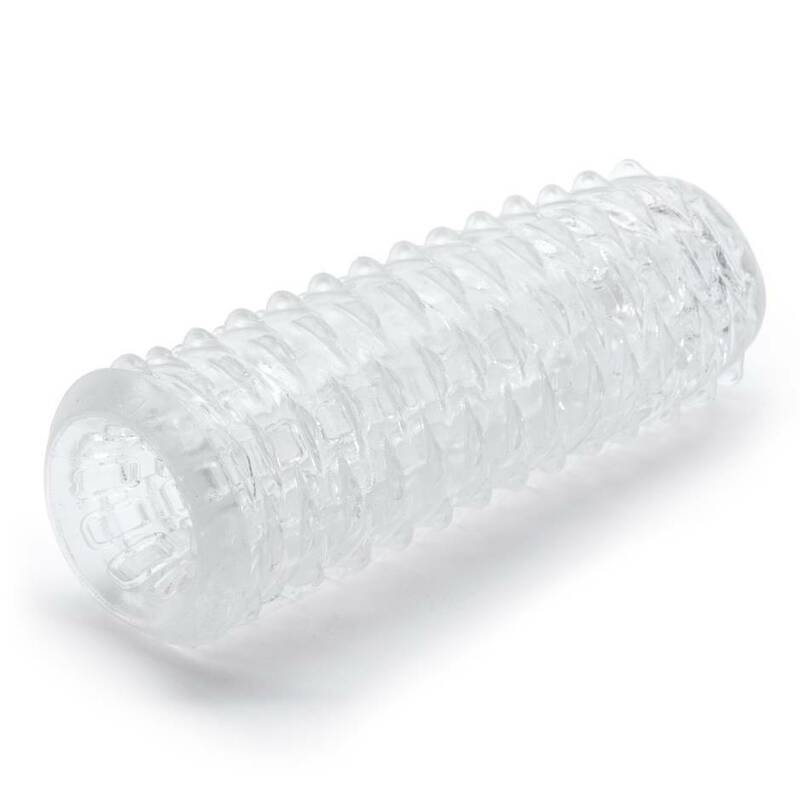 Before you begin, coat both yourself and the inside of the stroker with plenty of water-based lube. This is essential - we don't want you to suffer any painful friction burns! Now pop the end of your todger into the 1.25 inch diameter mouth of the stroker. Tease the head with squeezes and small strokes before you slide in the rest of your length and begin pumping in your preferred cookie-popping fashion. When you're ready for take two, turn the stroker inside out and repeat the above instructions to experience a brand new set of orgasmic sensations. Play solo or let your partner take control of your pleasure as they would just using their hand. 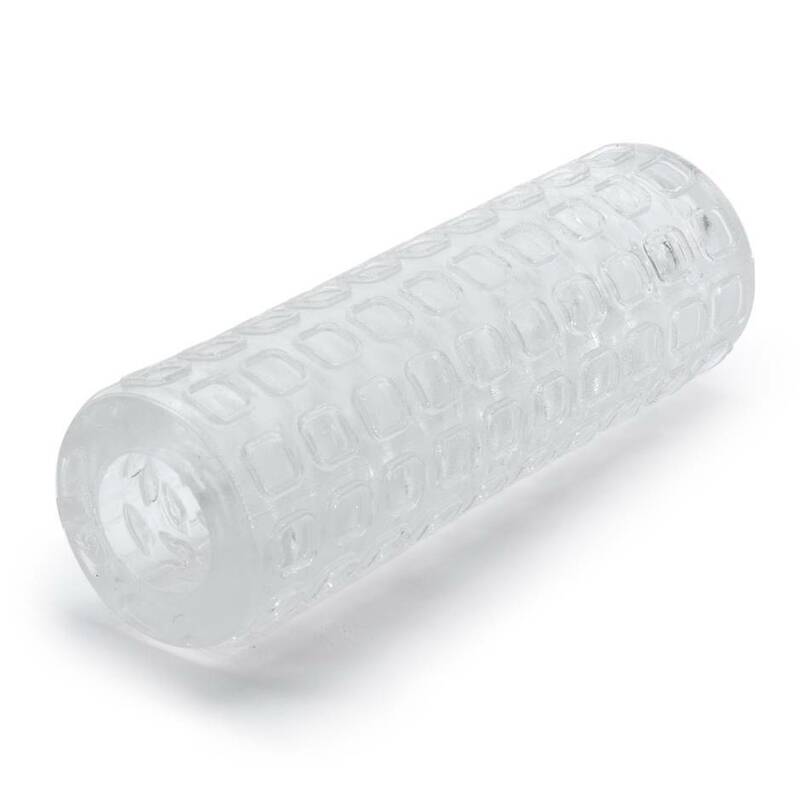 Please note: for a wider canal, try the Lovehoney Reversible Double Stroker Ultimate Nodules. 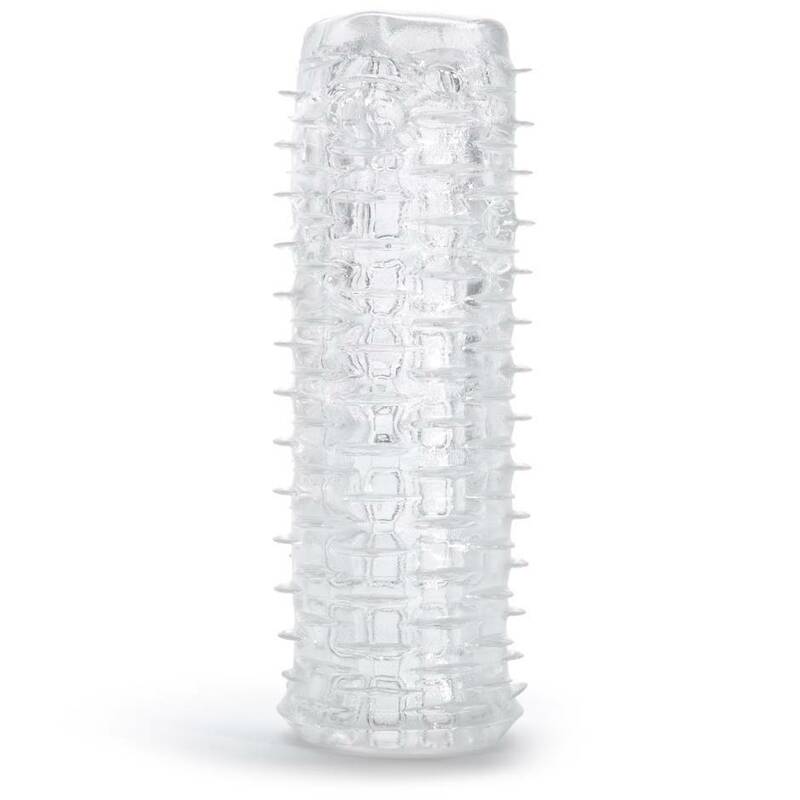 Switch up your play with the versatile Lovehoney Reversible Double Stroker Extreme. Double the fun with a choice of textured squares on one side or raised ridges on the other and a super-tight, 1 inch diameter canal. Got this for some solo play when the missus is away and I’m bored. Definitely takes away the boredom, that’s for sure. Really nice textures on both sides as it’s reversible for twice the fun. Love how tight it is, just put in plenty lube. It’s amazing - I prefer the kind of square bumps in there than the nodules but both definitely deliver. And will definitely get you off. I like that it’s shallow as well. So nice on the head got me throbbing and when I finished it was bliss. Well worth the bargain price, think I paid £7.50. Tight, shallow and the fact it’s got 2 different textures. A must-have for the price. My partner bought me this to add into our foreplay game and I was not dissapointed! With a small application of lube it glides in and feels amazing from start to finish no matter which textured side you choose. Although I did prefer the ribbed side, but that's just personal preference. It's easy to use and clean and also doesn't have that rubber smell which some products have. A definite recommend for couples looking to add some male toys into the bedroom or for solo play! Great textured sleeve. Very durable material. Easy to use and clean. Excellent couples or solo toy. Bought this for my husband. It's incredible! He couldn't believe how different both textures were and I couldn't believe how easy it was to use. You can use it via an exciting quickie or a long tantrum tease. Don't forget the lube though! Very important! You also don't have to worry about hurting... anything, as the material is flexible. When you're done, remember to wash and let it air dry.